Has it really been months since I’ve spent an afternoon in the children’s section of a bookstore? Almost a year since I’ve dedicated a solid hour to the study of displays, scanning of shelves, and reading of books I’ve judged positively by their covers—spread out all around me on the floor? And has it also been over a year since I’ve posted on this blog? The little monkeys I wrote about who were just learning to talk in 2013 are now in K4 and first grade. Most of our board books have moved to boxes in the basement, and our collection of early readers and beginning chapter books is growing. What hasn’t changed is our favorite picture books—the ones we come back to again and again and again. The ones that we still read at breakfast, lunch, and sometimes even dinner. The ones that we pull out when we are sick, scared, about to start something new, want to review our colors or our letters or, more than anything, want to sit together and enjoy a good story. Books like Railroad Hank, Library Lion, How to Hide a Lion, A Sick Day for Amos McGee, Big Snow and Mossy. Books like Sonya’s Chickens by Phobe Wahl (Tundra Books, 2015) a recent favorite that I haven’t blogged about yet. And then, of course, there’s Sophie’s Squash. Perhaps our most talked about, most gifted, most re-enacted, most read, most favorite of all our favorite pictures books. And today, less than six hours after my daughter drew a face on our most recently acquired butternut squash, I walked into Barnes and Noble and there, on the most prominent display in the children’s section was Sophie’s Squash Go To School (Schwartz & Wade, 2016) by Pat Zietlow Miller, illustrated by Anne Wilsdorf. It was the sequel to our most beloved book. Suddenly fearful that there might be a rush on the remaining stock of Sophie’s Squash Go to School, I reached out and grabbed my copy. It was all too serendipitous! Too good to be true! Eyeing the train table, my son scooted away from me, and I set out to study more displays, scan more shelves and then did finally spread out on the floor surrounded by picture books. Sophie’s Squash Go to School was on the top of my pile. Sensing the friendship struggle, her teacher holds a discussion on the topic. (Go teacher!) What makes a good friend according to Steven Green? “‘They like what you like…’” (Brilliant! Now it is even clearer that even though Sophie might not realize it, she and Steven Green actually do like the similar things. For example, they both have inanimate best friends!) Steven and Sophie get into a fight, (so realistic! ), and he offers an in-depth apology. (Powerful.) Sophie spends some time in her moonlit garden with Steven’s frog, whom he sent home with her in his effort to say sorry, and Sophie realizes that she can share her passion for squash (what she likes) with her classmates—by planting seeds—thereby growing squash and friends. (SIGH!). “Um, yeah, and EVERYTHING else, too,” I think. Sophie’s Squash Go to School began the “yes pile,” which ended up also including Pat Hutchins amazing sequel to Rosie’s Walk, called Where, Oh Where, is Rosie’s Chick? (Simon and Shuster, 2015) and Grandma Is a Slowpoke, by Janet Halfmann, illustrated by Michele Coxon (Star Bright Books, 2015) (more on both of these soon). We drove straight from the bookstore to pick up my daughter at school. 3:38, 3:39—finally—3:40! “Can I see it?” she asked. I handed it back. “I’m going to read it!” she said. “Noooooo! No! No! No!” I yelled. “Ok. Ok.” She passed it back up. The Barnes and Noble train table had renewed my son’s interest in his own, and he asked that we bring it down from his bedroom. “Ok.” I snuggled closer to my daughter. “On the first day of school, Sophie peeked into her classroom,” I read again. This time, I did savor the details, the nuances of Zietlow Miller’s distinctive style. Her effective use of sets of three: a list of three present participles, three details about Sophie’s first impression of school and three featured classmates. She also uses repetition in structure, in character development and in reference to the first book through the parents’ continued used of vegetable pet names for Sophie, the now annual tradition of burying the squash in the fall. The dialogue is realistic and humorous. The characters, especially through the eyes of my first grader, believable. The illustrations—vibrant. We were quickly falling in love with Sophie’s Squash Go to School, for all the reasons above, but perhaps mostly because it told such a compelling a story. A story with actual exposition, rising action, a dramatic climax and satisfactory resolution. There aren’t many that compare. Zietlow Miller’s diction, structure and repetition make it a beautiful read aloud, but these are treats seamlessly woven into a masterfully written, plot-driven story. One that, as children listen to it, engages them, draws them in to wonder, worry, and feel relief when the conflict is resolved. It’s a story that they can relate to. In a very authentic way. “I loved it,” my daughter sighed as I closed the book. “Me too,” said my son. You can find my post on Sophie’s Squash here. Thanks, Vivian! Heading over to check out your blog, now! Thanks so much, Abby…you have a super content rich blog and I LOVE it! 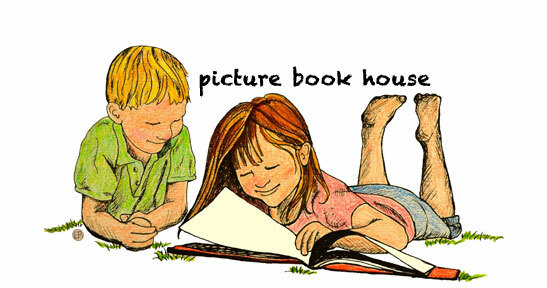 Oh,how we’ve missed you, Picture Book House! Love love love, for PZM and for Sophie and her squash (our most gifted and reenacted, too!) and for you three readers.